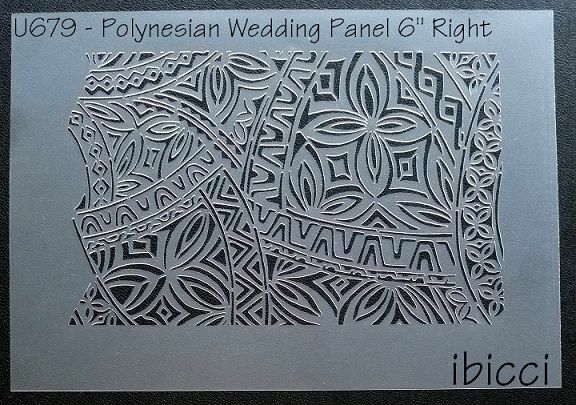 Hand designed for a Hastings Cake Artist from a photo of the Wedding material, this collection of stencils have been called 'Polynesian Wedding' to group them together. 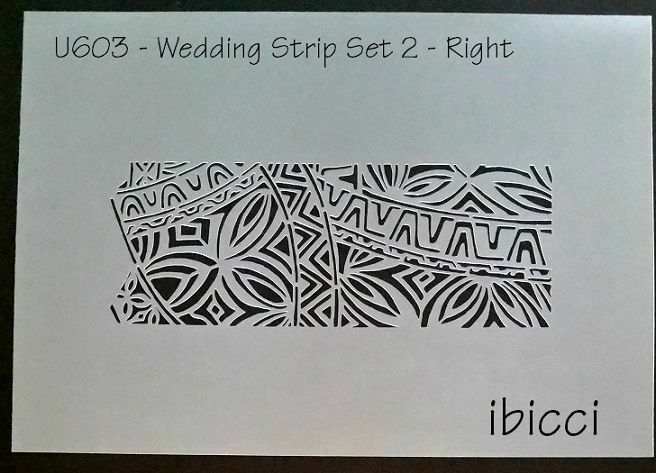 The main Polynesian Wedding design was split down into two 3" strips to provide a border around the cakes. 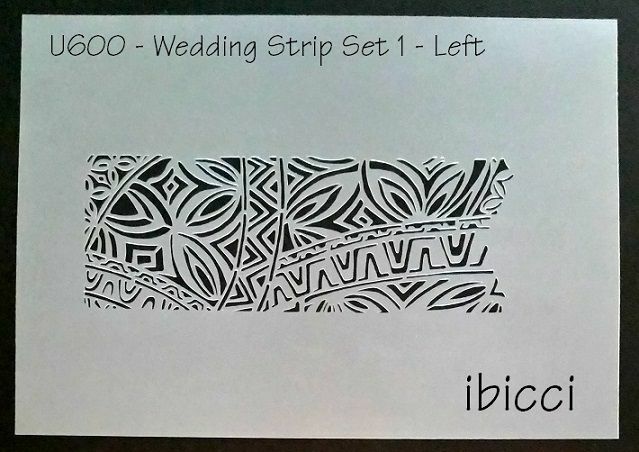 Each Strip is in 2 parts to allow a seamless wraparound on a cake, each Right and Left stencil butts together allowing the decorator to have the close at the back. 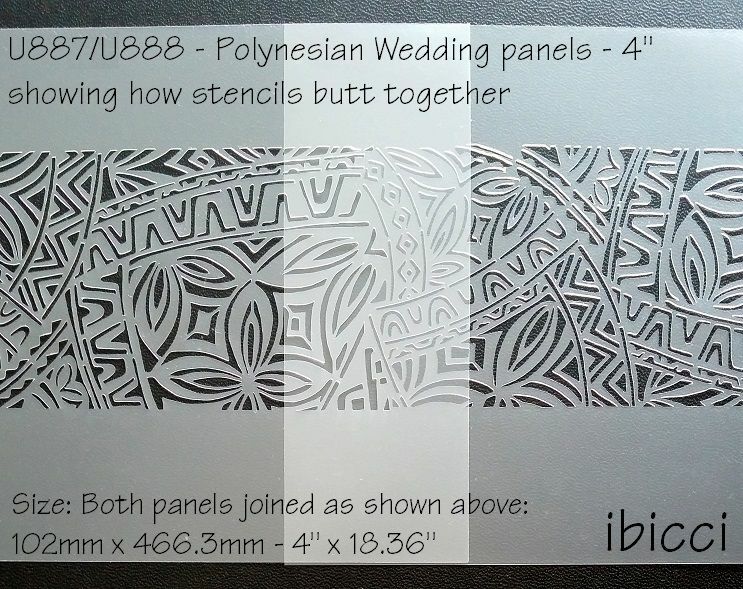 Although each set is complete on it's own, these also can be butted together height wise to decorate a 6" cake. 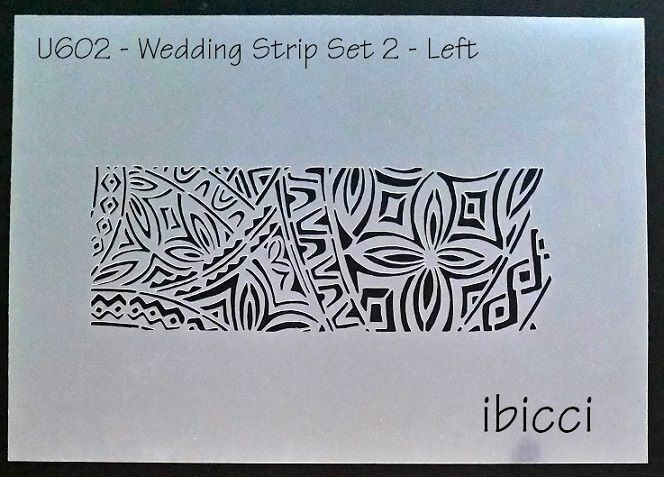 The option of purchasing the full 6" height set of 2 stencils is also available. 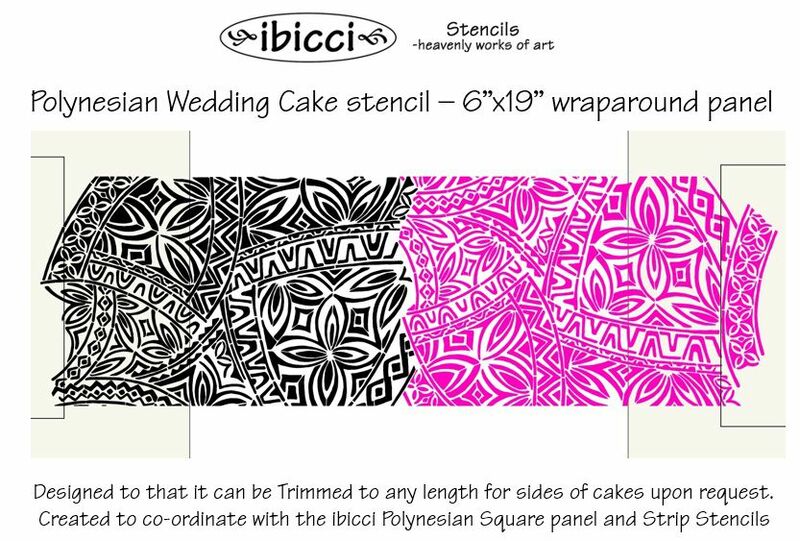 Stencils are quick to use and enhance the cookies or cakes you are decorating. 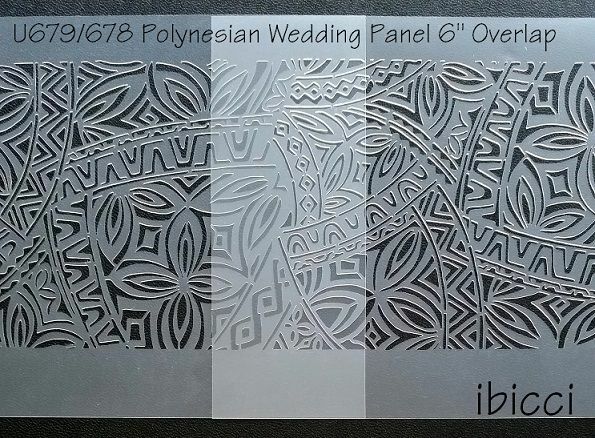 Common ways of using stencils for cookies are with magnetic frames such as the Stencil Genie, by using magnets on the corners of the stencils, or simply held by hand. 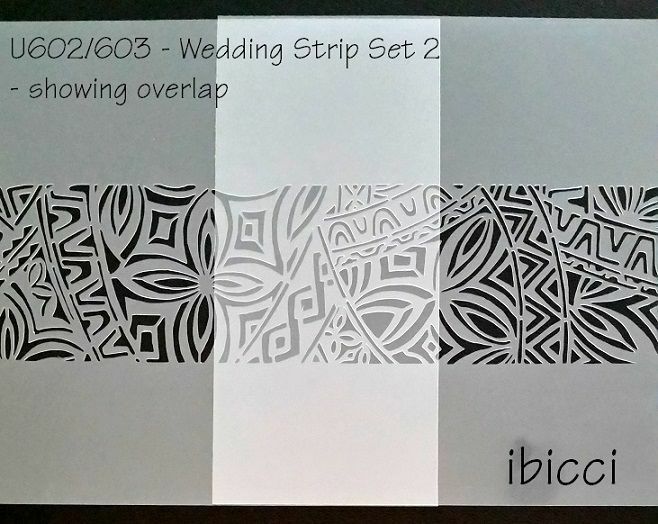 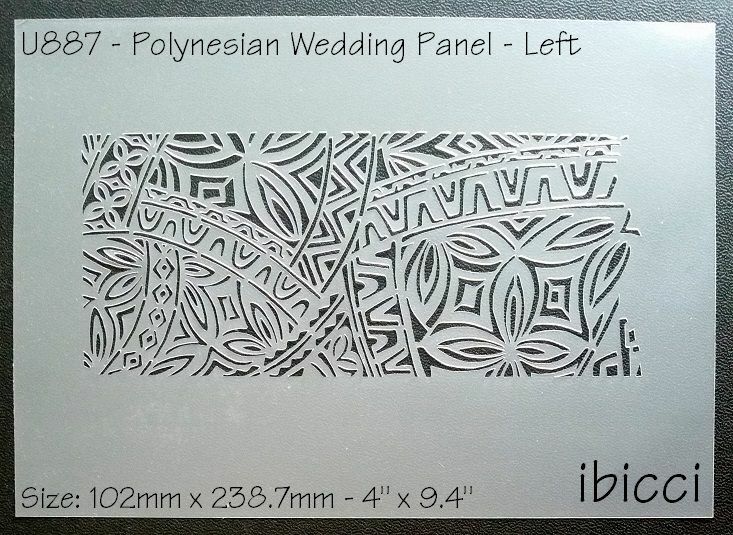 ibicci stencils are primarily made for decorating cookies and cakes however the stencils can be used to apply designs on a wide variety of surfaces including walls, wood, fabric, glass etc. 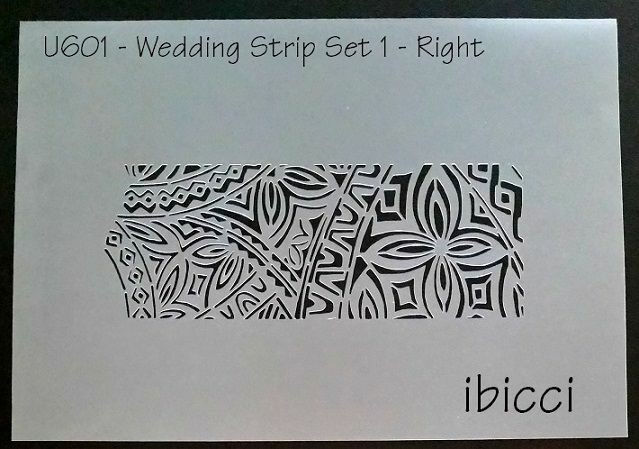 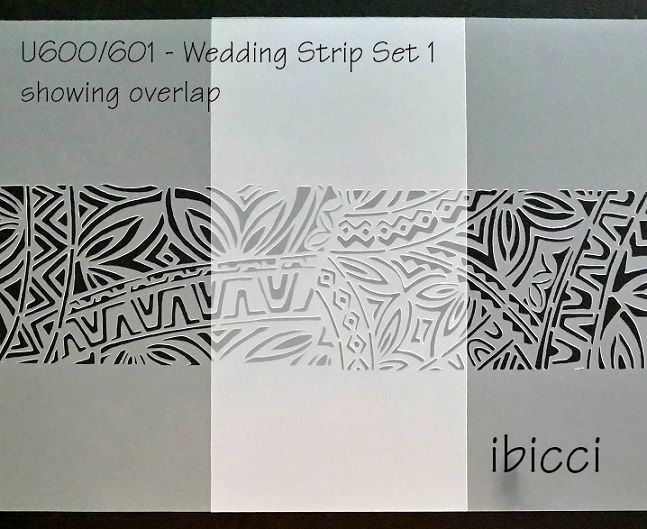 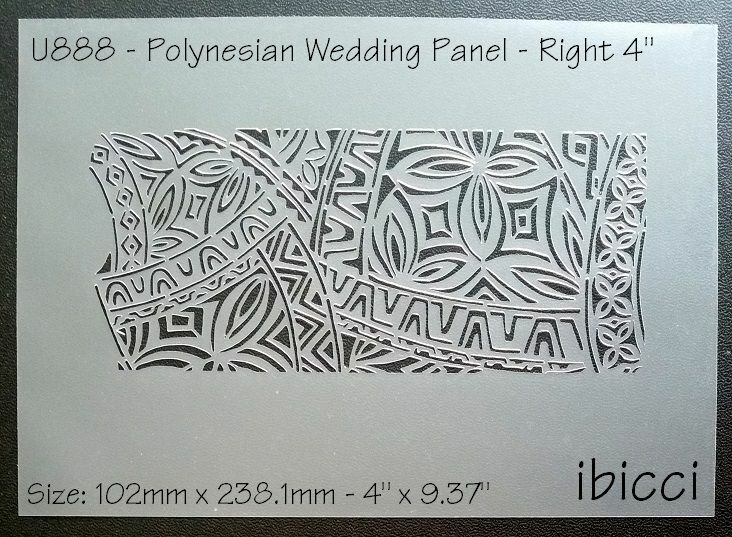 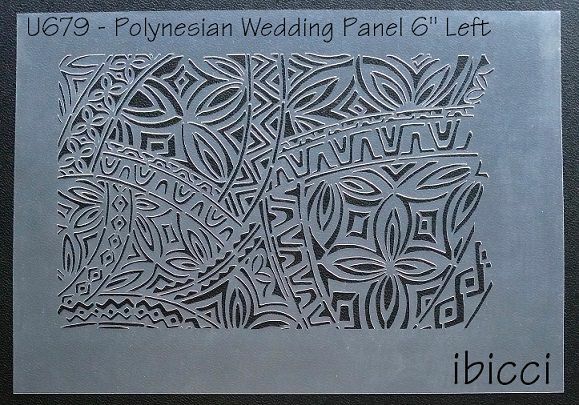 The ibicci Cake Stencils measure approximately 11.75"x8.25” / 30x21cm and most stencils are cut to allow the stencils to be trimmed as required for placement on the sides and tops of cakes.